This week, the PGF team began the process of making some of our paper prototypes digital. 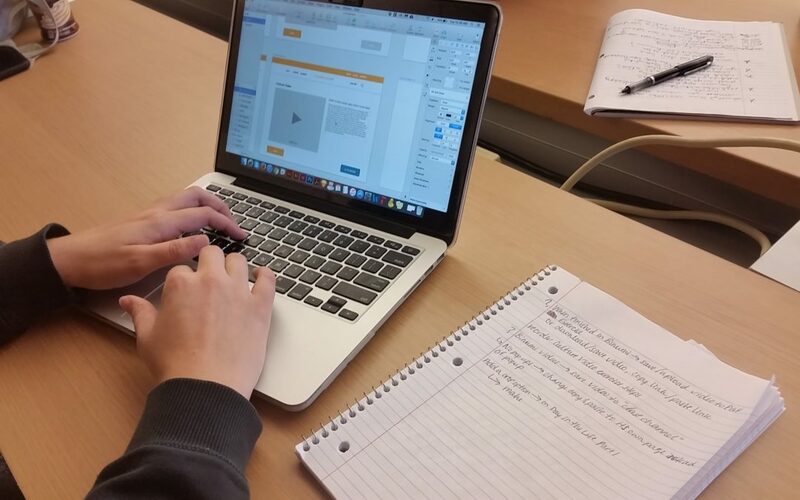 The team is currently working on the prototypes of the Digital Literacy activities that students will use on the new website. The 5 prototypes cover each of the 8 components of Digital Literacy and a range of functionality. This allows us to find and brainstorm ways around issues that stem from coding constraints. In the coming weeks and months, the prototypes will be sent to another team for building of the mid-fidelity prototypes in a working model. This will let us know if the activities will work as intended and allow us to view the user journey in action.